THE National Food Authority (NFA) in Northern Mindanao has assured that its warehouses are stocked with enough rice for the region’s consumption until the next tranche of imported rice arrives. 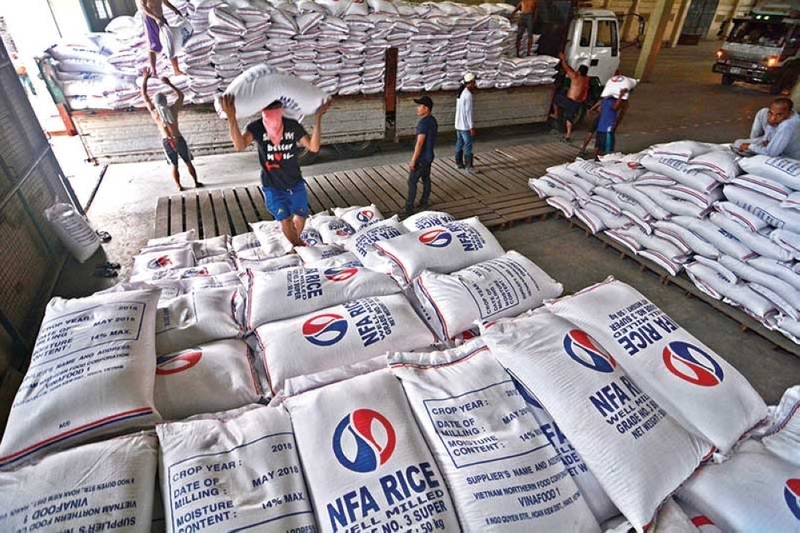 NFA assistant provincial manager for Misamis Oriental Samuel Natavio said they still have in their inventory about 187,000 bags of imported rice from Vietnam and Thailand that arrived last July. Natavio said some of their stock was already distributed throughout the region while the remaining bags are kept in the warehouses in Barangays Tablon and Patag waiting to be delivered. According to the NFA, the daily rice consumption in Northern Mindanao is about 28,920 bags, with Camiguin having the highest demand for rice among the provinces in the region. The agency has also dispelled speculations of rice hoarding in the city. NFA-Northern Mindanao information officer Hazel Belacho said they have not received any report of rice hoarding either at the Mindanao Container Terminal (MCT) or in private warehouses. “Why hoard it (rice) when now is the opportunity to sell it at a very good price?” he said. Besides, Buerano said, the harvest season is near and fresh supply of rice will be flooding the local markets in the coming days. To find out if that there is indeed hoarding, Belacho said the NFA has to prove that the grain dealers have an “unusual” accumulation of rice stocks in their warehouses. But, she added, the NFA can double-check this as their field staff do regular visits on the warehouses. The rice dealers, in return, submit to the NFA their own inventory of stock for the agency to determine the number of rice sacks in their storage. “If you see piles of rice bags inside the warehouse, it doesn’t mean that’s hoarding,” Belacho explained, adding that they will only suspect if there is a “holding back” of selling rice by the dealers, even if there is a sufficient stock. Last week, the National Bureau of Investigation (NBI)-Northern Mindanao said it has suspected that the thousands of bags of rice from Vietnam and Thailand were “held” by the Bureau of Customs (BOC)-Northern Mindanao at the MCT sub-port in Tagoloan, Misamis Oriental. But the BOC-Northern Mindanao explained that the 220,000 bags of imported rice were not held but their release were delayed due to the number of container vans that had to be examined after one of the facility’s x-ray machine broke down. Marvin Mison, BOC-Northern Mindanao deputy collector for assessment, said all container vans had to be subjected to x-ray examination and even though basic commodities such as rice and sugar were put on priority status, these items still have to be checked. In a statement to the press on Friday, September 21, BOC-Northern Mindanao collector Floro Calixihan has denied the reports of rice hoarding at the sub-port in Tagoloan. “We would like to set the record straight that there was no instance at this sub-port of alleged hoarding of rice,” Calixihan said. 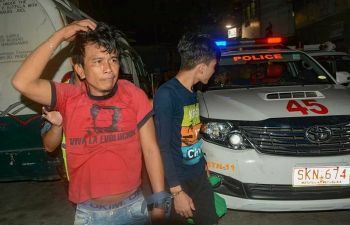 “Truth is, there was slight delay in the X-ray scanning and physical examination of shipments at the Designated Examination Area (DEA) considering that at the time there was only one x-ray scanning unit that was being utilized,” he added. “We are very transparent in our transactions here. In fact, I am grateful that they took the time out to visit MCT,” he said. Meanwhile, the City Price Coordinating Council (CPCC) has affirmed the NFA-Northern Mindanao statement that there was no hoarding of rice at the MCT, echoing the earlier statement of the BOC-Northern Mindanao that they were not holding the 220,000 bags of imported food staple although they have acknowledged that there was a delay in its release due to the congestion at its examination area. Members of the CPCC, the city council’s trade and commerce committee headed by Councilor George Goking, visited the MCT and its examination facilities in Tagoloan on Friday. City Councilor George Goking, for his part, said that with the allegation of rice hoarding at MCT now resolved, CPCC and his committee will continue their investigation with the commercial rice traders this time. “We will inspect the warehouses of rice traders to see whether there is hoarding or not,” Goking said.